Dirt and grit in high traffic areas can leave beautiful floors looking dull. If not cleaned on a regular basis, floors can become scratched, nicked or damaged. Ensure the cleanliness of your flooring with Metro Clean’s floor care services. When your floors undergo quality cleaning, stripping and waxing, your floors will maintain shine and appearance through daily wear and tear. Contracting Metro Clean to manage your floor care can increase the longevity of your floors and save you money long-term. 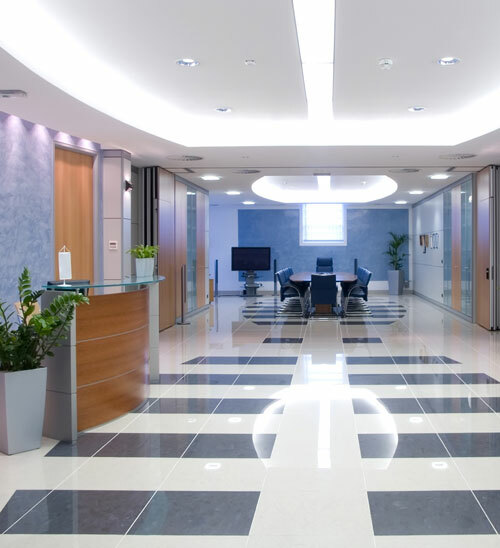 Metro Clean floor care services offer top-notch floor cleaning for all types of floor surfaces. Types of floors that can be cleaned by us include vinyl composition tile (VTC), tile, marble, ceramic, hardwood, cement, slate and terra cotta. Mopping to ensure that all loose dirt, dust and grit has been removed from the floor and around baseboards. Floor stripping is prepared according to the manufacturer’s instructions and the floor is stripped once cleaned. Stripping solution is applied to sections of the floor and allowed to set for the appropriate time depending on the condition of the floor and floor type. An abrasive pad attached to an auto-scrubber removes old sealer on the floor. To remove a build-up of stripping solution, a mop or floor squeegee is used. Excess water and solution is soaked up and or vacuumed. The floor is rinsed and cleaned with a damp mop with clear rinse water. It is then allowed to dry. Floors are completed after applying a sealer of wax. Some floors and situations require more than one coat of wax. Grinding: Grinding is a method of removing adhesive, scratches, and similar products and minor damage. Honing: Honing is the process of removing scratches and etching from marble and stone floors to create a smooth, shiny surface. High-Speed Polishing: High-speed polishing machines give floors a professional look and remarkable shine.